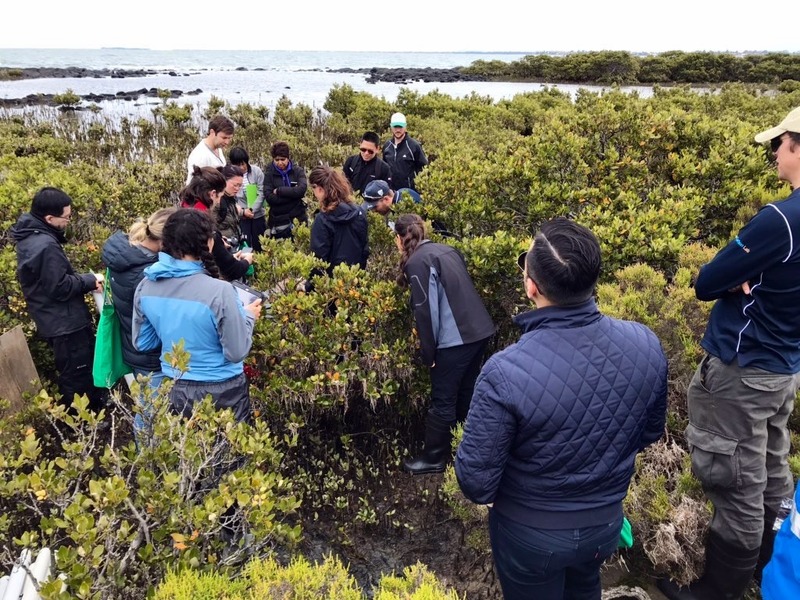 Kick-off for the HSBC Citizen Science program in Melbourne! Blue Carbon research was conducted in Jawbone, a small coastal reserve located 30 min from the CBD. 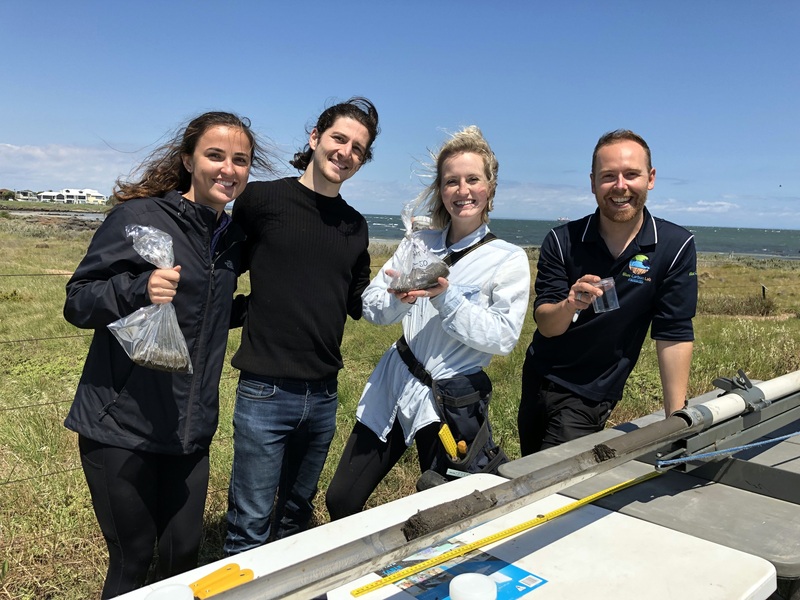 Activities were led by scientists from the Blue Carbon Lab (Peter Macredie, Paul Carnell, Maria Palacios, Pawel Waryszak) who showed participants how to conduct biomass surveys of mangrove trees and collect 1m deep soil cores. 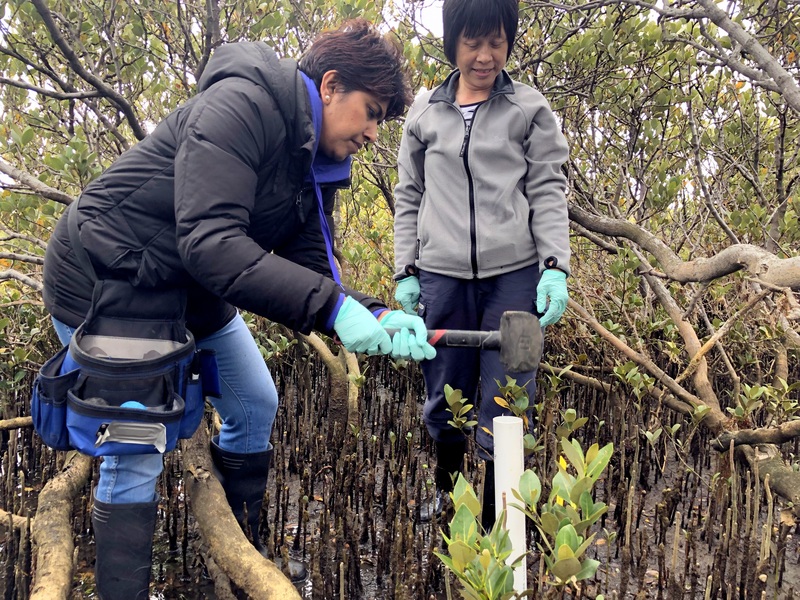 Participants worked in teams to collect valuable data that quantifies the carbon sequestration gains due to mangrove restoration. 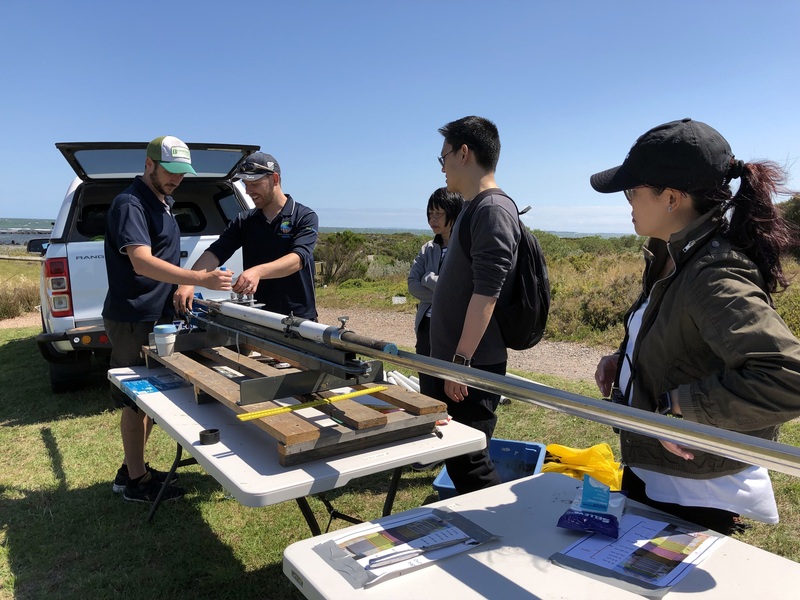 At the end of the day, a TV crew from ABC’s 730 filmed some of the action while volunteers helped slice and process the soil cores.